Need to know the actual location of the My Document folder? Or of the System directory? Or where your cookies are stored? 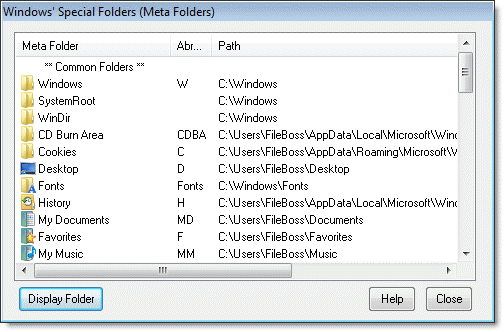 Simple, select Tools > Special Folders... from the main menu to display the Special Folders dialog. along with their current path, if any. either by highlighting it and clicking Display Folder button or double-clicking the entry itself. the version of Windows, how it has been installed and user's preferences.